I just spent a few days walking the ABC Kids show in Vegas. My mission - to round out our holiday toy selection with a few new finds. Mission accomplished! My top 5 favorites for this holiday season! 1. Tegu Blocks. Magnetic wooden blocks with endless building potential. A favored classic reinvented to unlock the mind and inspire creativity. They are made from beautiful Honduras hardwood and safe water-based finishes. We anticipate they will be wildly addicting for the Fiddlesticks kids. 2. 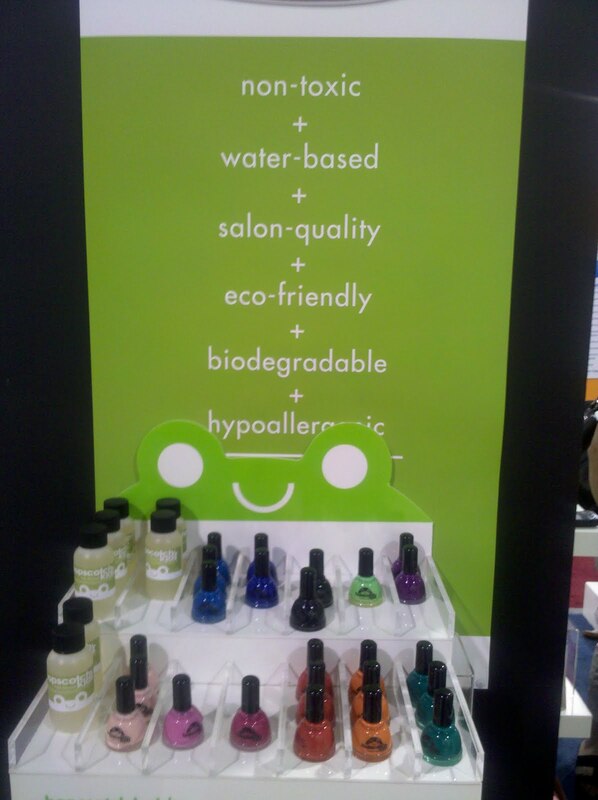 Kids Nail Polish. 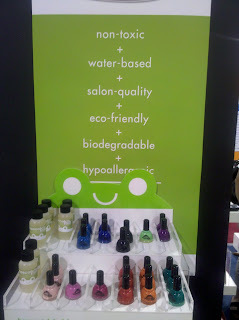 Non-toxic, biodegradable, water-based, eco-friendly....lets just say they nailed it! The colors are vibrant and long-lasting, even for mom. Bye-bye harsh, smelly chemicals. Not available online - in store only. Perfect stocking stuffer for the 8-12 year olds, and beyond! 3. 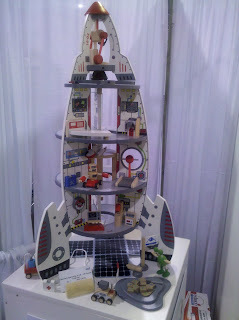 The Discovery Spaceship and Lift Off Rocket. Dreaming of space starts at a young age because children are curious about traveling through air, stars, and away from earth. This spaceship and rocket provide the fuel for imaginative explorations as children prepare, launch or arrive at their destination somewhere in the galaxy. The four-level spaceship is designed similar to actual space shuttles with areas for mission control, an on-board laboratory, a living compartment and even an exercise room and connects via a working elevator. Children can refuel by plugging in and unfolding the solar panel. The Lift-Off Rocket has a cockpit for an astronaut to blast off for independent travel and secures safely on the top level when it lands. Incredibly-detailed graphics bring outer space to the playroom with including 2 astronauts, a moving robot, land rover, alien, moon crater and more. UPDATE (11/8/10): We just found out that there was a major production issue & the Discovery Spaceship won't arrive until January. We are crushed! But will be excited to welcome it in the new year! 4. The Big Bad Wolf. 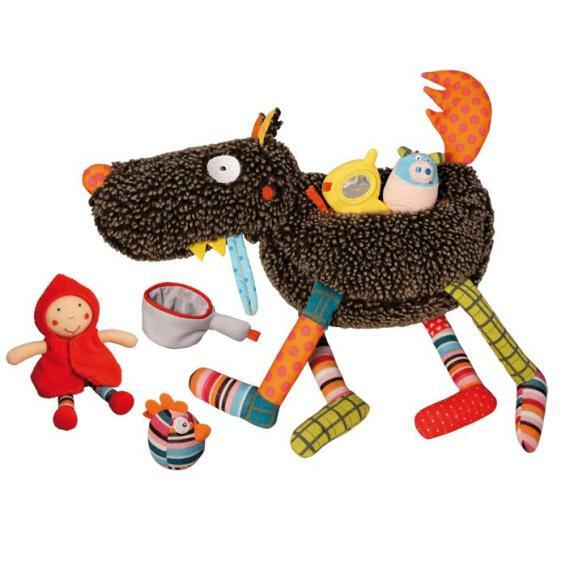 The crazy cuddly wolf playset is ADORABLE!!! and a favorite for all the new babies in our lives. You know the story of the big bad wolf, right? Well, time has soften him up! He comes with 5 activity toys in his bellie which include a cell phone, a chicken, & little red riding hood. Make this a must this holiday season - a classic gone modern! 5. Nesting Birds. The perfect baby gift - not only does it provide hours of entertainment but its also a great design addition to any shelf. If my hunch is right, I doubt they will be on our shelves long. Check out other great toys by P'kolino.